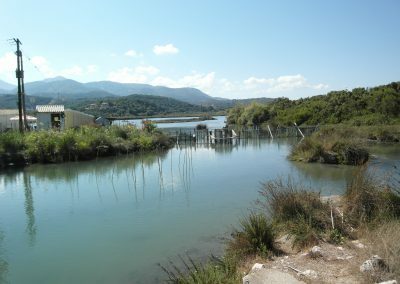 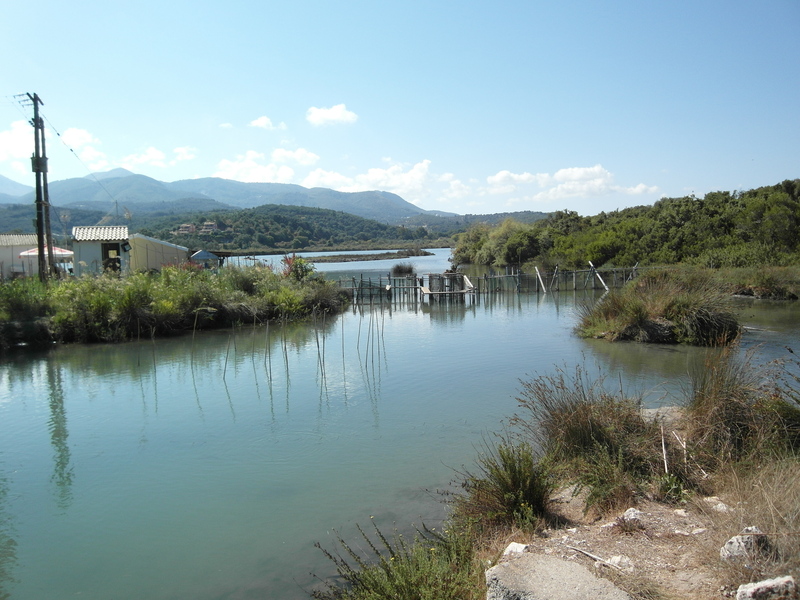 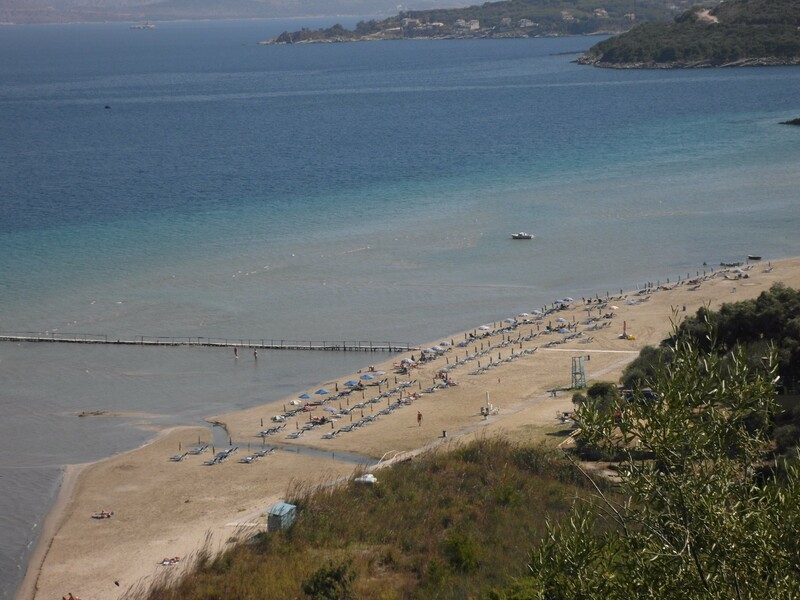 ALMIROS is the best area of Northern Corfu. 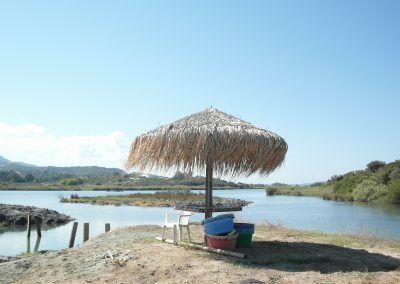 We are situated in the middle of Almiros. 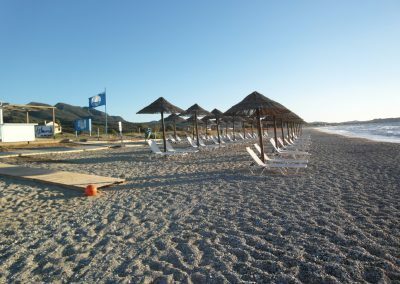 Almiros Beach is an extension of the Acharavi beach to the east side and more quiet with not so many Villas-holidays apartments and Hotels as the Acharavi. 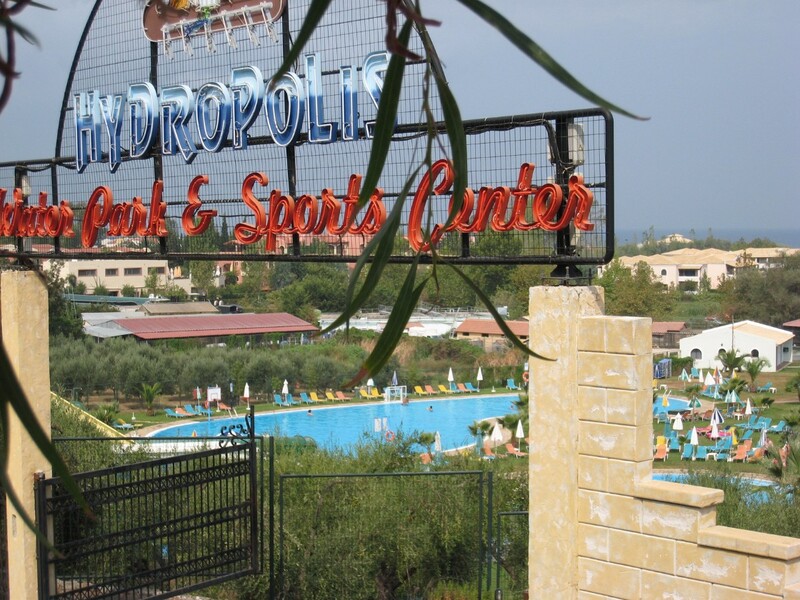 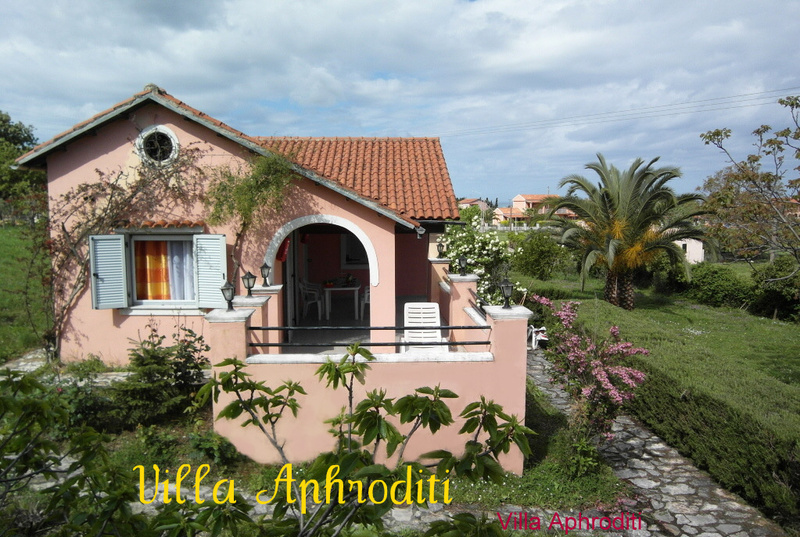 Our property consists of three separate buildings (Villa Aphroditi, Villa Pantheo and Studios) which are approximately 50 meters apart. A car parking space is available as is also an area for children to play. 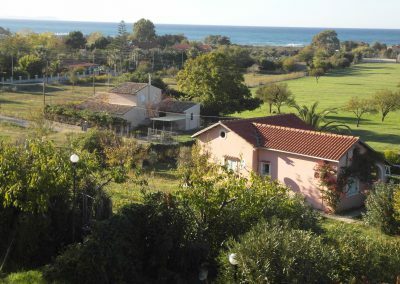 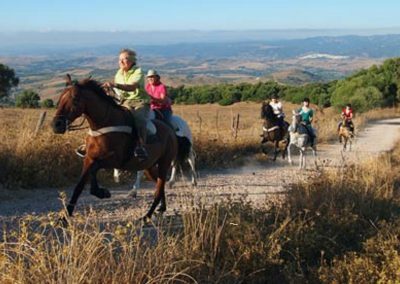 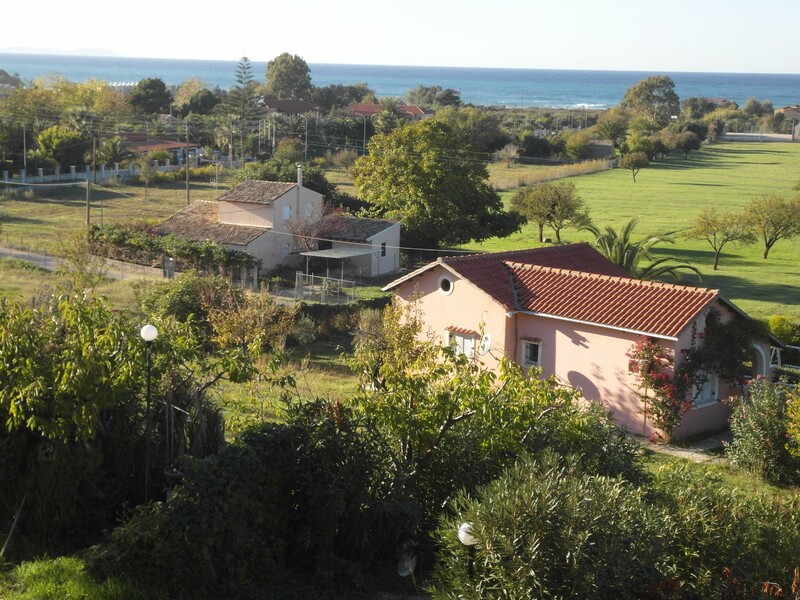 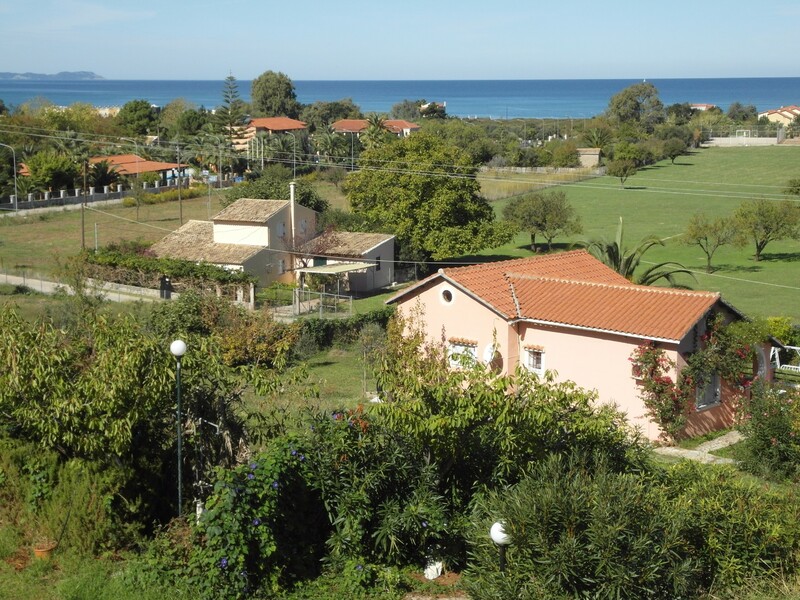 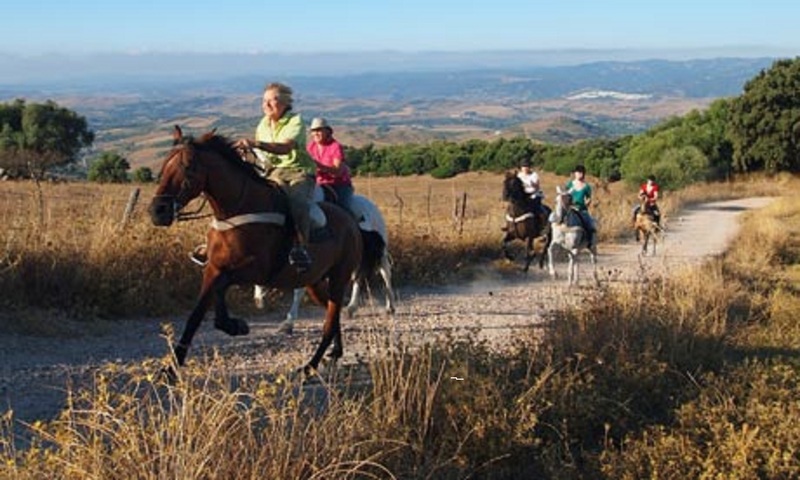 The elevated position offers wonderful views over the sea and the plain of Almiros. 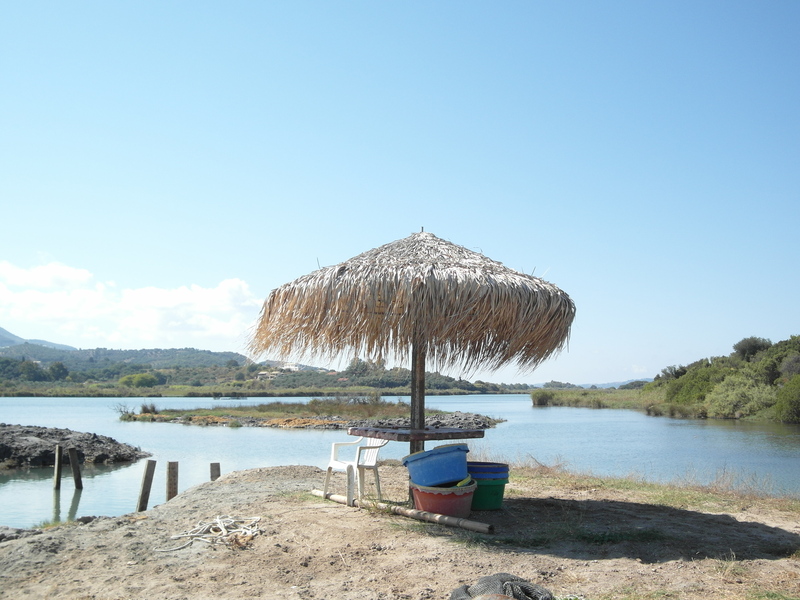 The sea at Almiros is crystal clear, with a sandy beach stretching for 10 kilometers. 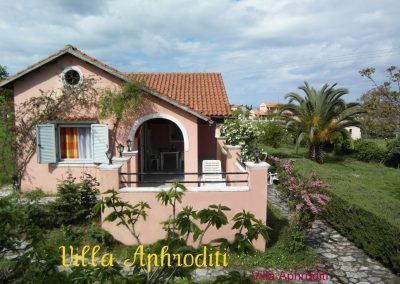 Our property consists of three separate buildings (Villa Aphroditi,Villa Pantheo and Studios) which are approximately 50 meters apart. 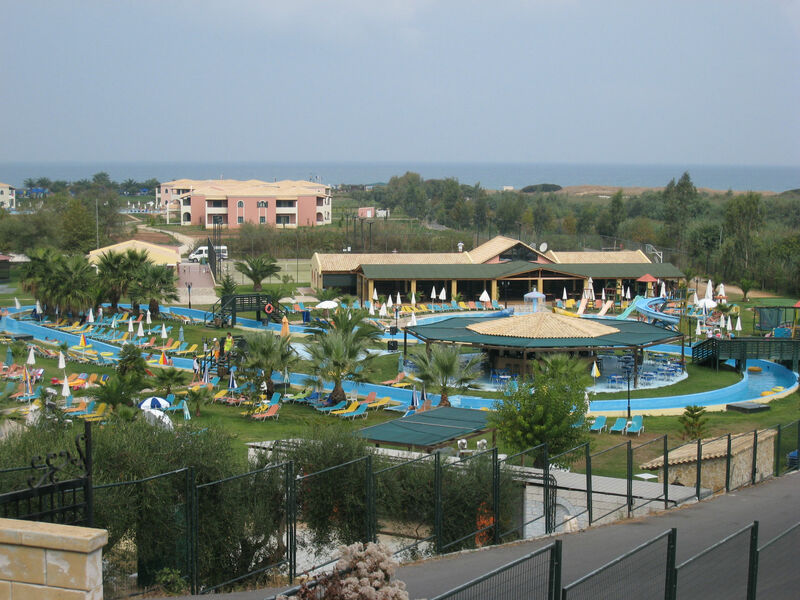 A car parking space is available as is also an area for children to play. 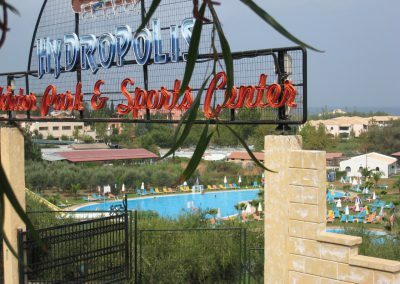 The buildings are situated amongst the luxurious greenery of orange and lemon trees. The elevated position offers wonderful views over the sea and the plain of Almiros. 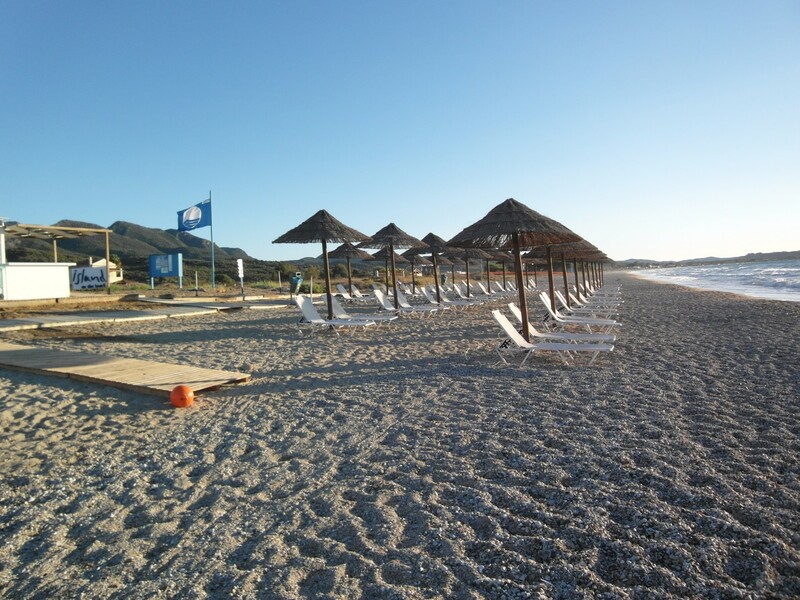 Beach: Clean & Sandy, quiet, clean, sunny, relax, fishing, Watersports, ski. 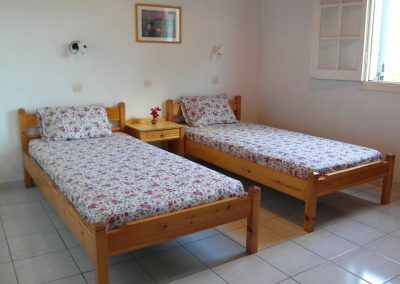 Sleeps 4-5 Pers. 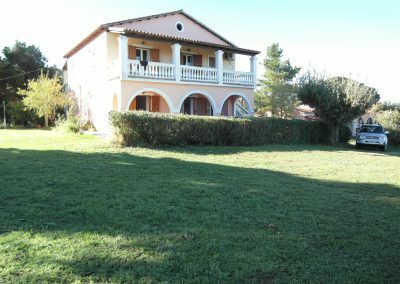 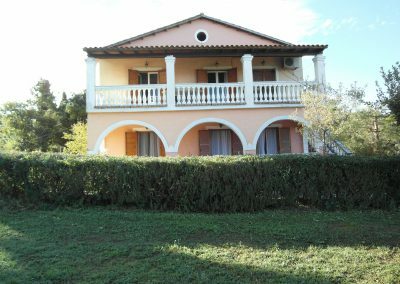 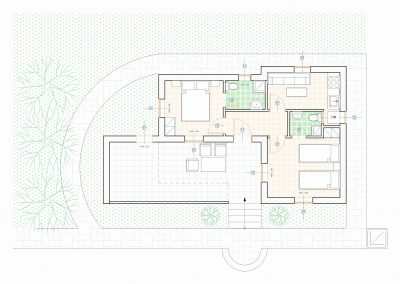 (One room with one double bend,second room with 2 single beds and one sofa bed in kichen).Villa 55 sq.m+Veranda 30sq.m =85 sq.m. 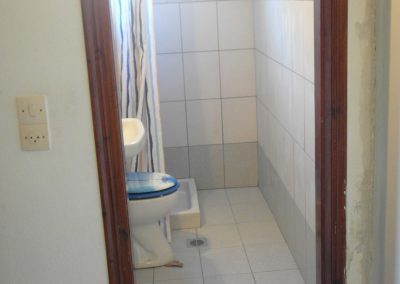 This is a newly-built detatced villa,in a lovely Architectural style.It comprises two spacious bedrooms,each having a private shower and toilet, e.t.c . 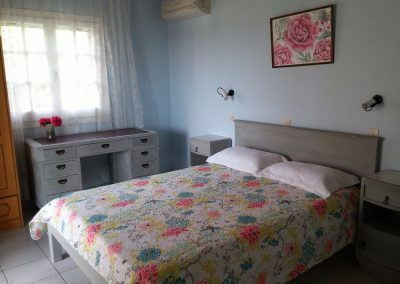 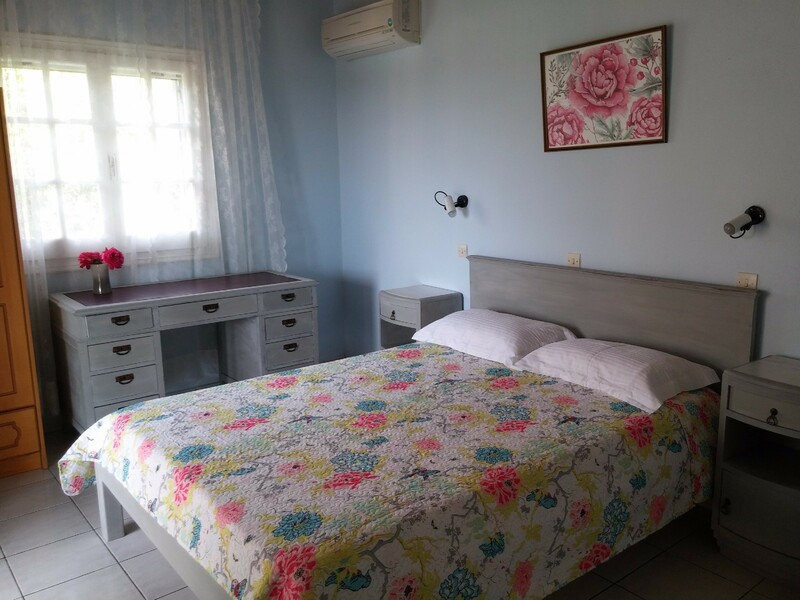 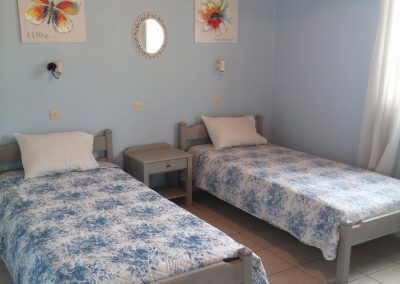 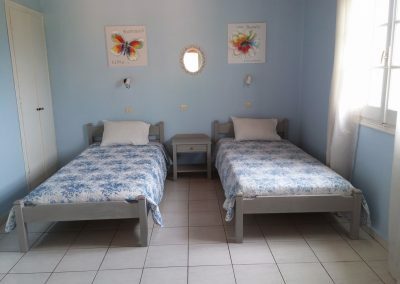 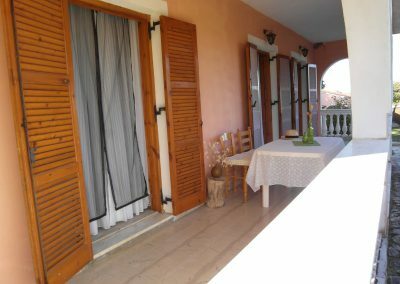 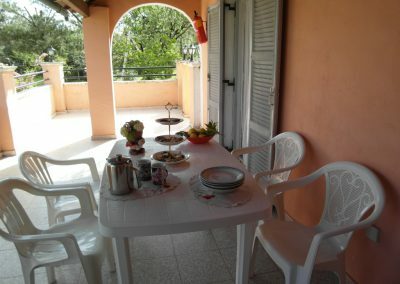 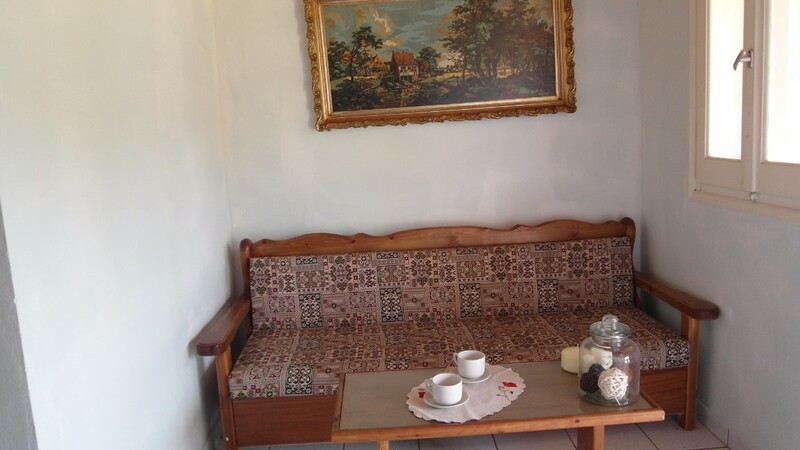 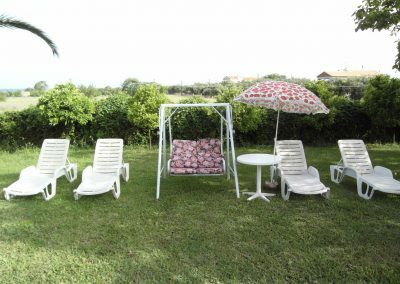 There is a large fully-equipped kitchen as well as a veranda measuring 30sq.m which is well-lit.The surrounding garden is well kept,contains flowers and lush greenery and has a peaceful view of the sea.This accomodation could also be utilised as two studios for friendly couples-up to (5) people. 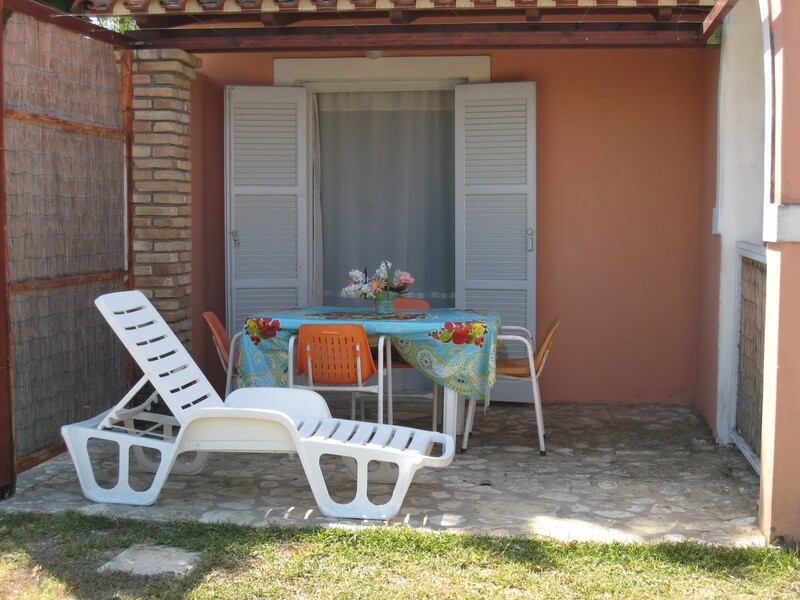 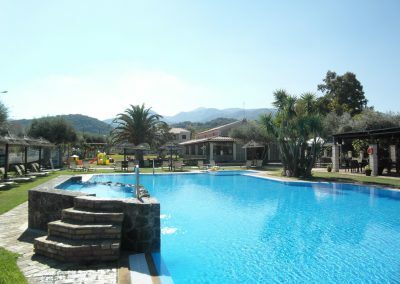 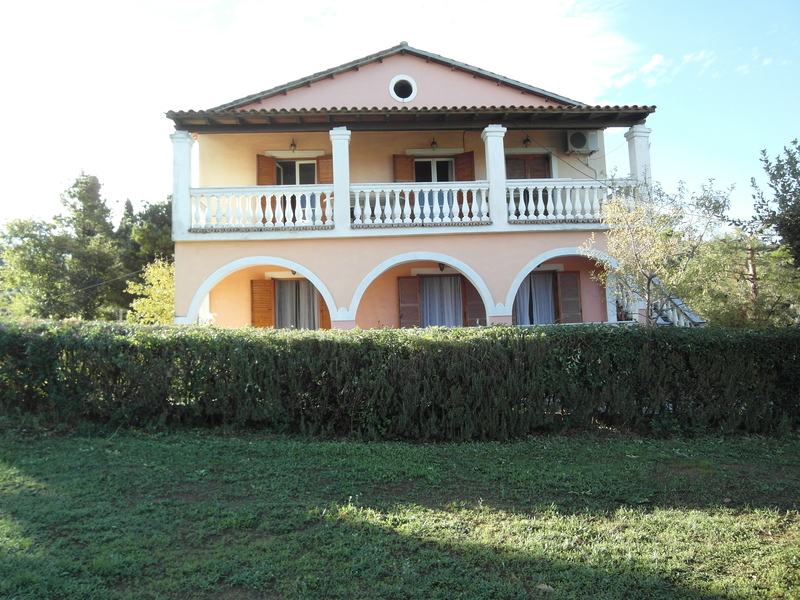 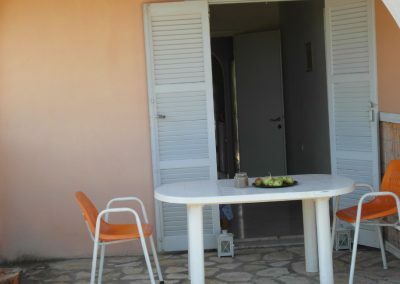 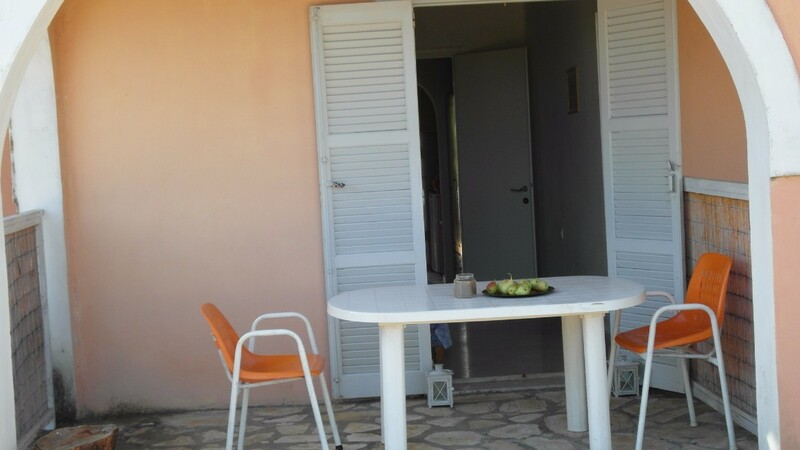 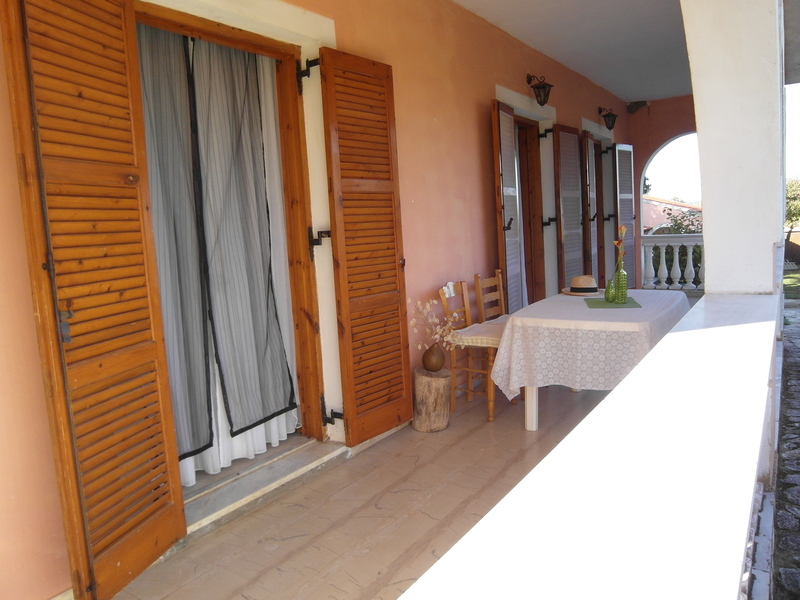 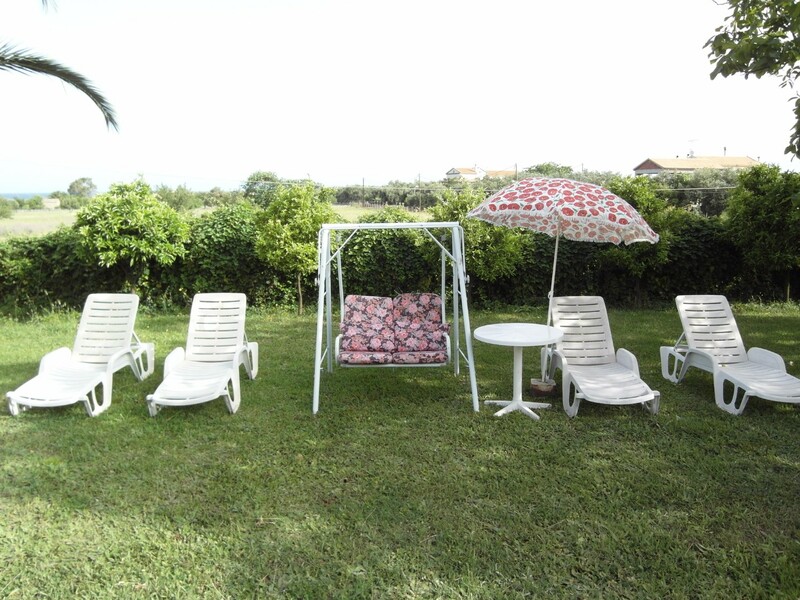 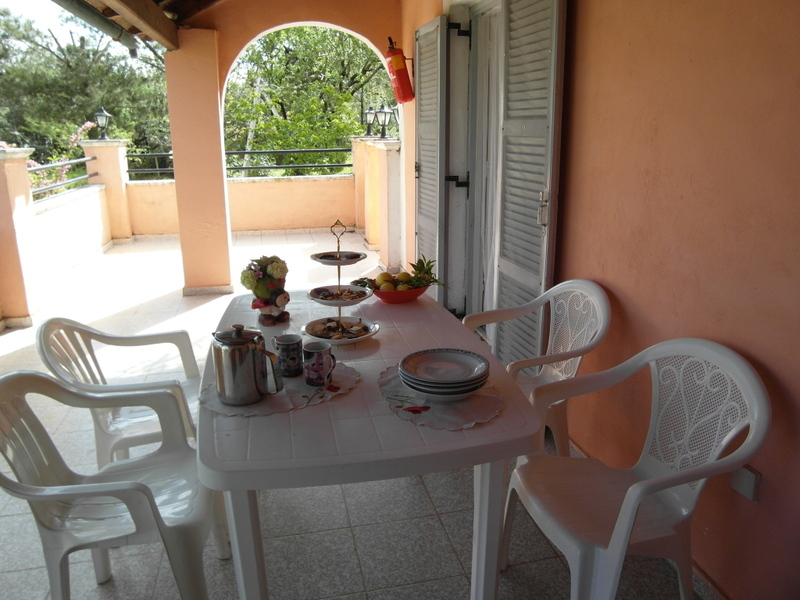 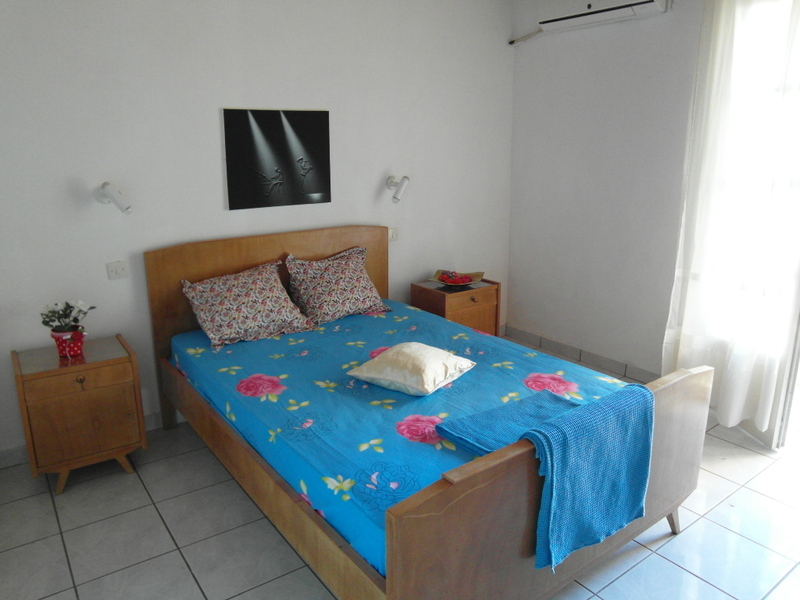 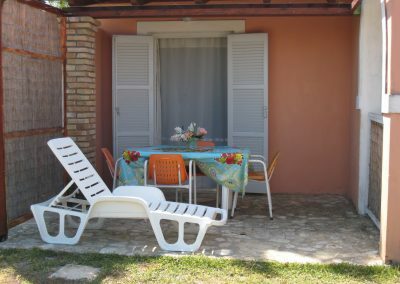 Villa Aphroditi has,Free WiFi,TV,A/C,Deck-chairs,wash machine and swing. 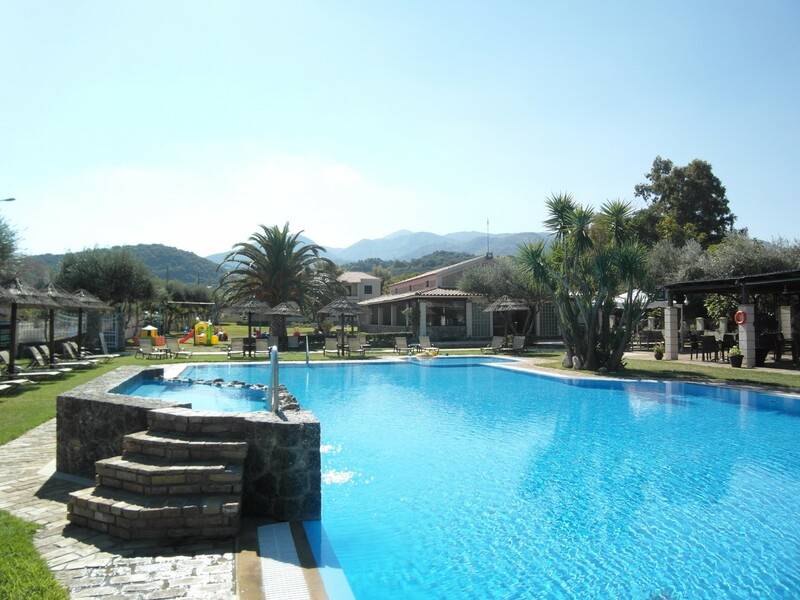 hight mountains Albania and rich vegetation in the garden. 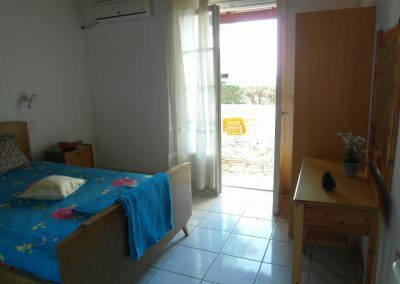 Bedroom No1: A double bed, bedside tables, wardrobe, air conditioner, bathroom. 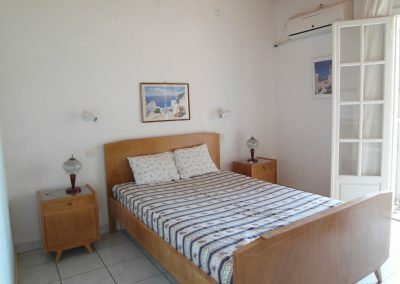 Bedroom No. 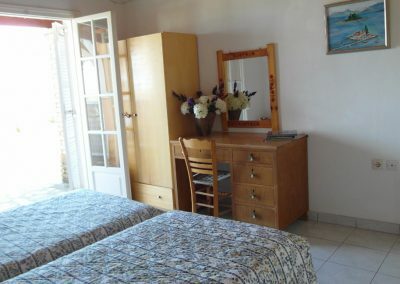 2: Two single beds, bedside tables, air conditioner, wardrobe, desk, armchair, shoes closet . 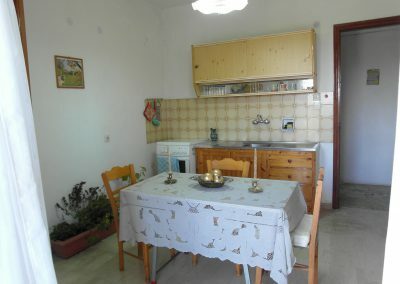 Kitchen: All kitchen utensils, electric stove and gas, refrigerator, satellite, washing machine, ironing board, iron, sofa-bed. 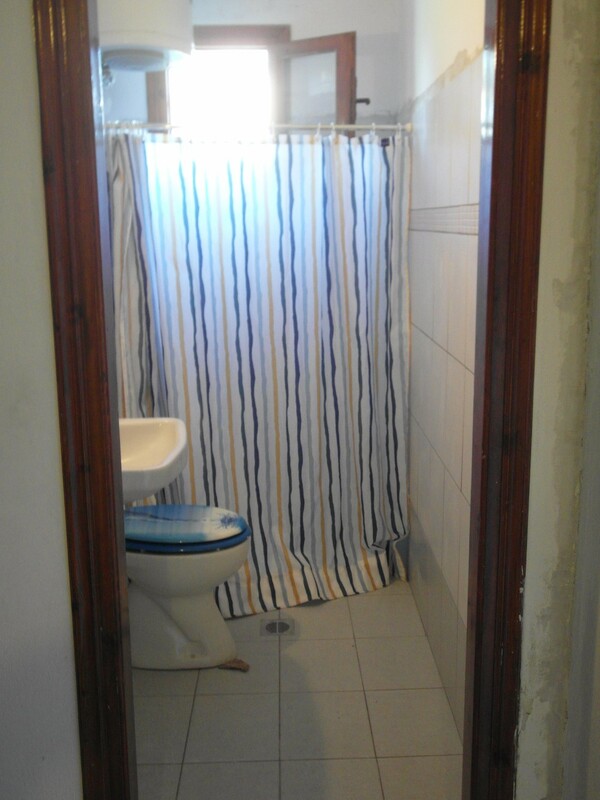 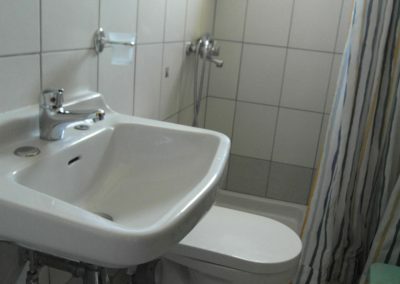 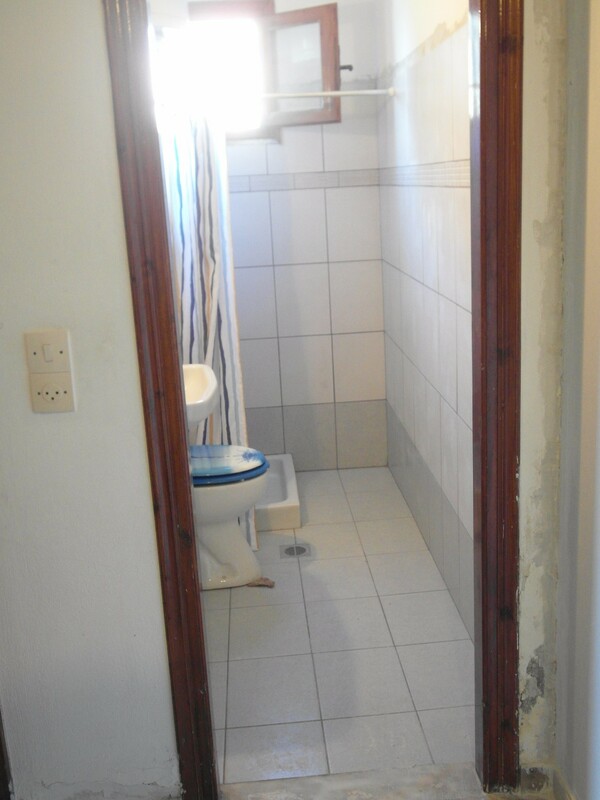 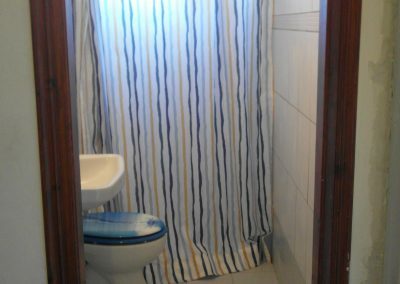 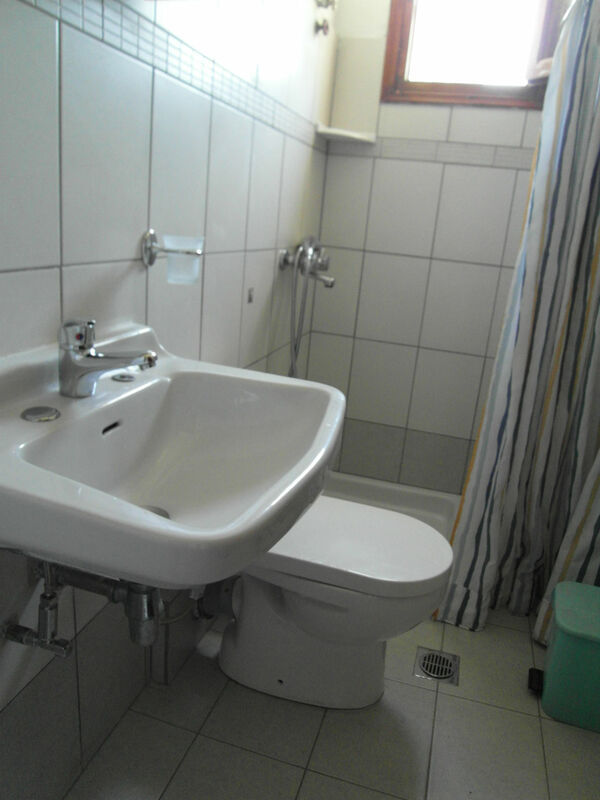 Bathrooms: Cupboard with mirror, hair-dryer,shower. 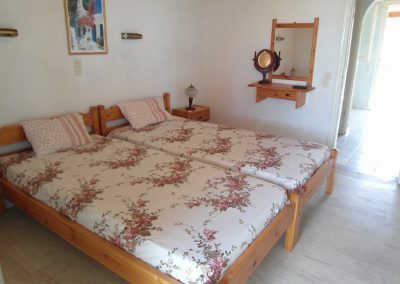 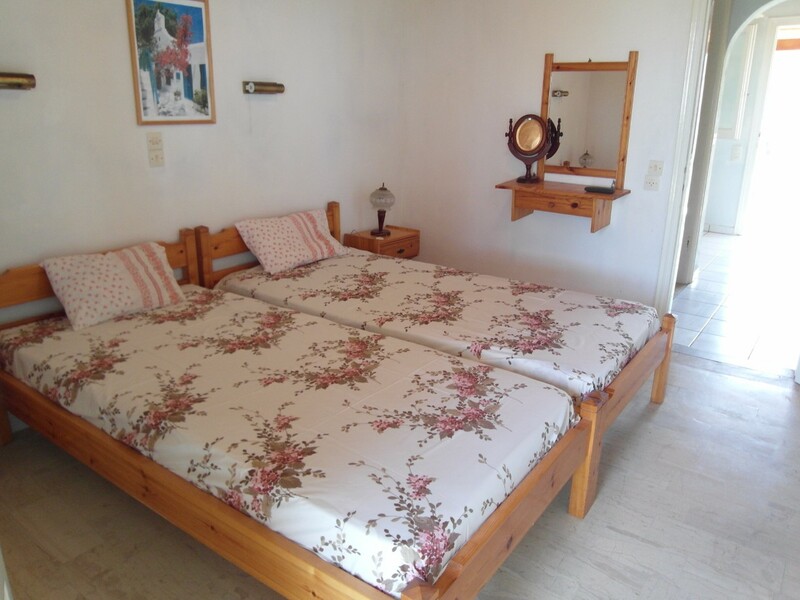 Sleepts 4-5 Pers, (4 normal beds in 2 rooms and one sofa bed in kichen). 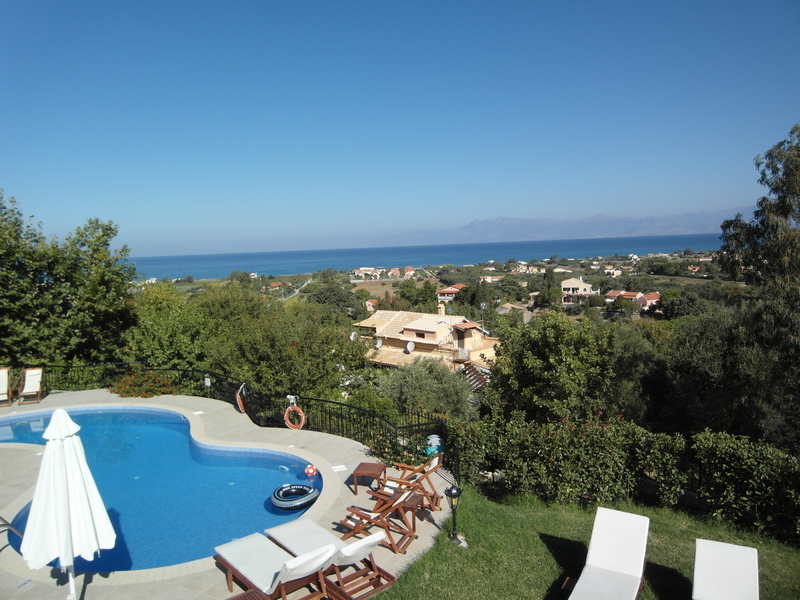 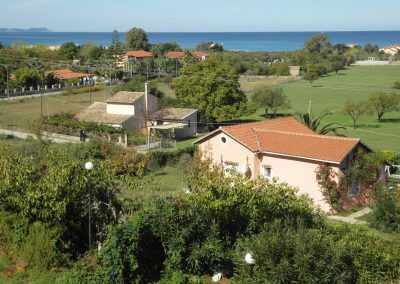 Villa Pantheo has in downstars a apartment that he having two bedrooms,therfore (4)beds,shower,toilet large well-equipped Kitchen, a/c in every room,free WiFi,TV Satelate,wash machine,veranda 25 s.q,sun chairs,out shower.There is a fine view in area Almiros,Ionion sea,hight mountains Albania and rich vegetation in the garden. 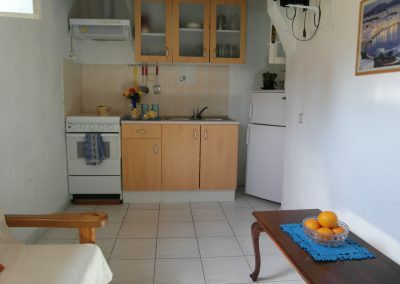 Each studio has a fully equipped kitchen, shower, bathroom, well-lit terrace, communal washing machine, free WiFI, TV satelate, external shower. 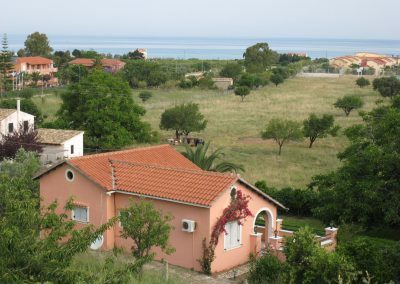 All have views of the Almiros area, the high mountains of Albania, the Ionian Sea and is flat. 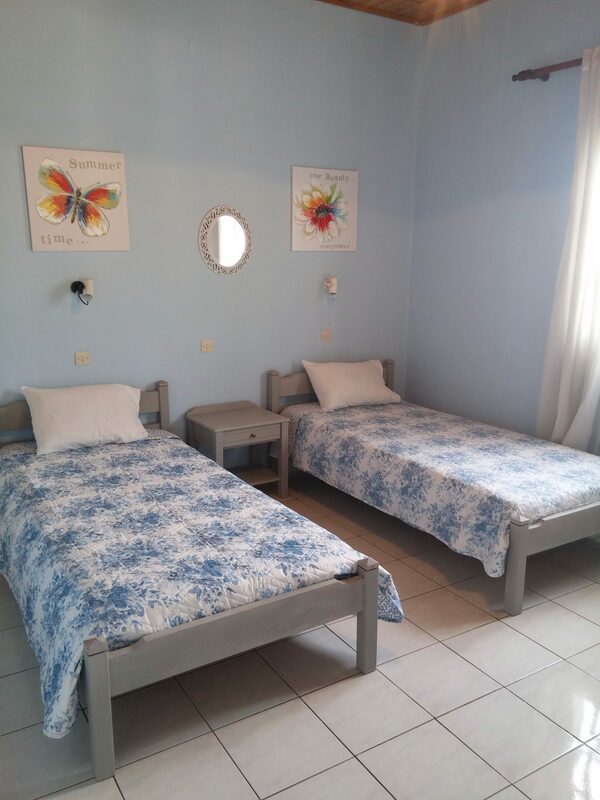 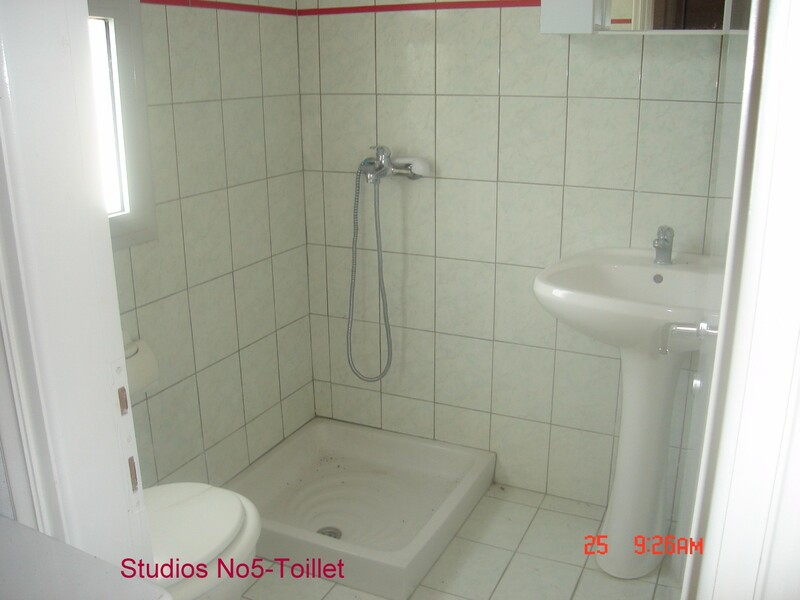 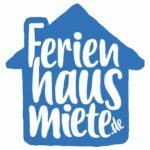 These Studios are suitable for families with 1-2 children depending, couples, access for the disabled. 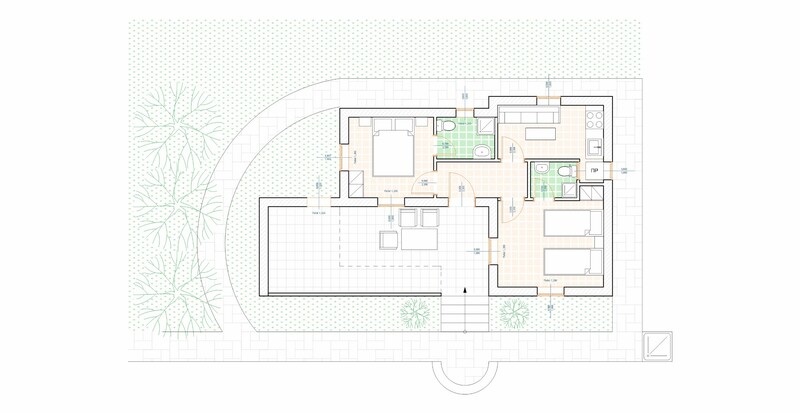 This is 30 sq.It can accommodate 3-4 people. (with a double bed in room and one single bed +one extra bed in the living room . 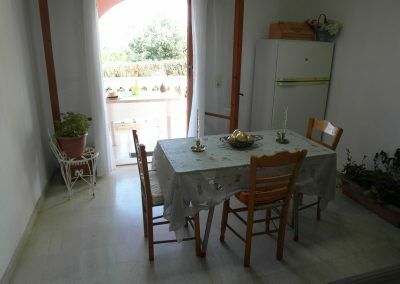 ?his family studio have air conditioning and a terrace of 15 m²). 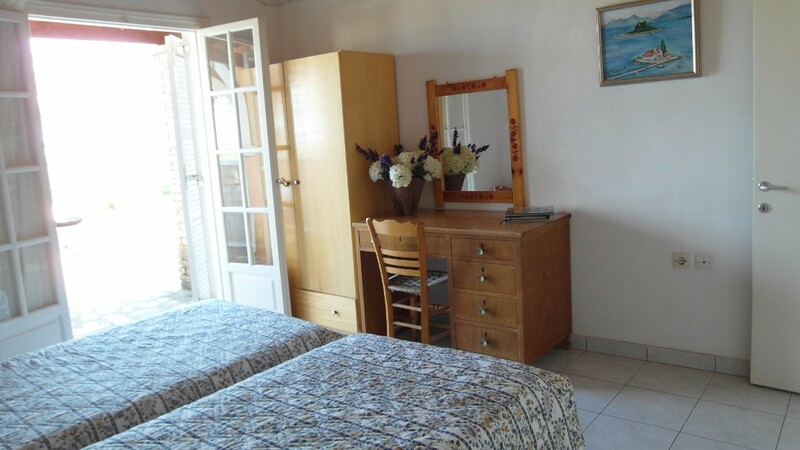 Room: Contains one double bed with bedside tables, mirrors, desks, chairs, cupboards, air conditioner. 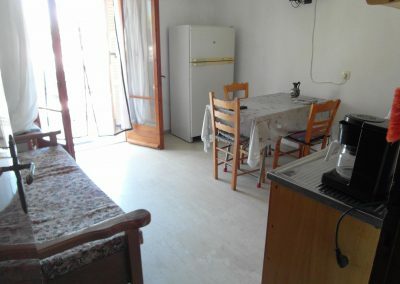 Living room: one to two beds, satellite TV, furniture. Kitchen: fully equipped (electric stove and gas, kettle, toaster, coffee maker, pots, etc.). 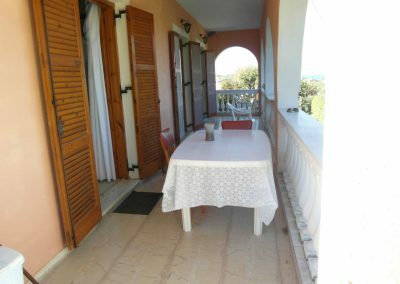 This is 25 sq.m and sleep 2-3 people.Have sea view and Veranda. 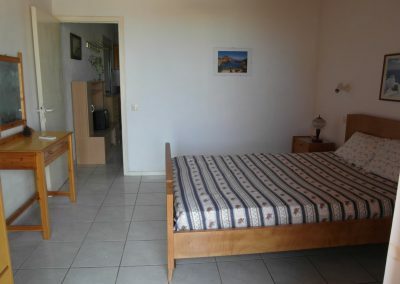 Room:Have two single normally beds, mirror, TV satellite. 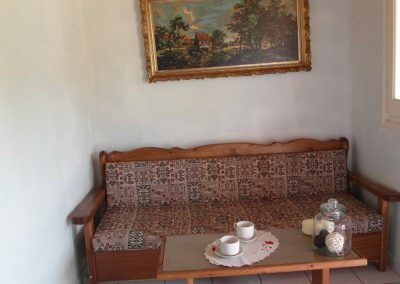 Living room: has a sofa-bed, coffee table, wardrobe. 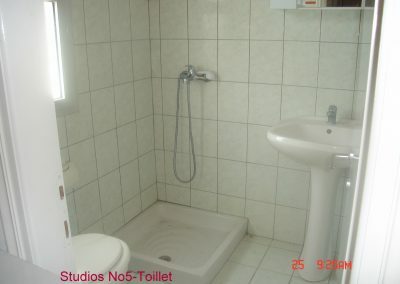 Bathroom: Has mirror, hair dryer, shower. Room:Have two single normally beds, mirror, TV satellite,Ceiling Fan. 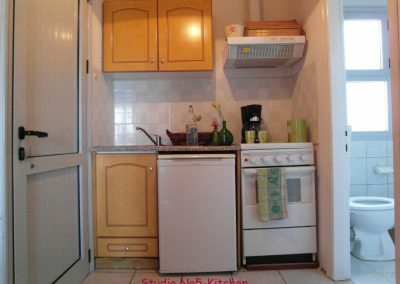 This is 30 sq.It can accommodate 3-4 people. 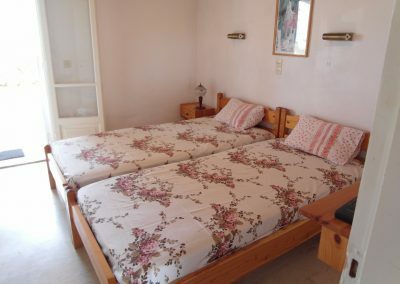 (with a double bed room and one single +one extra bed in the living room . 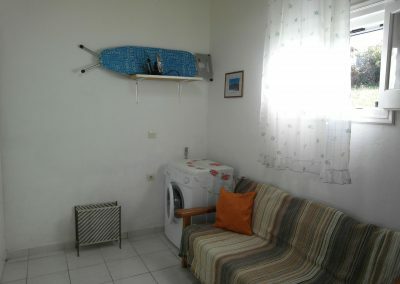 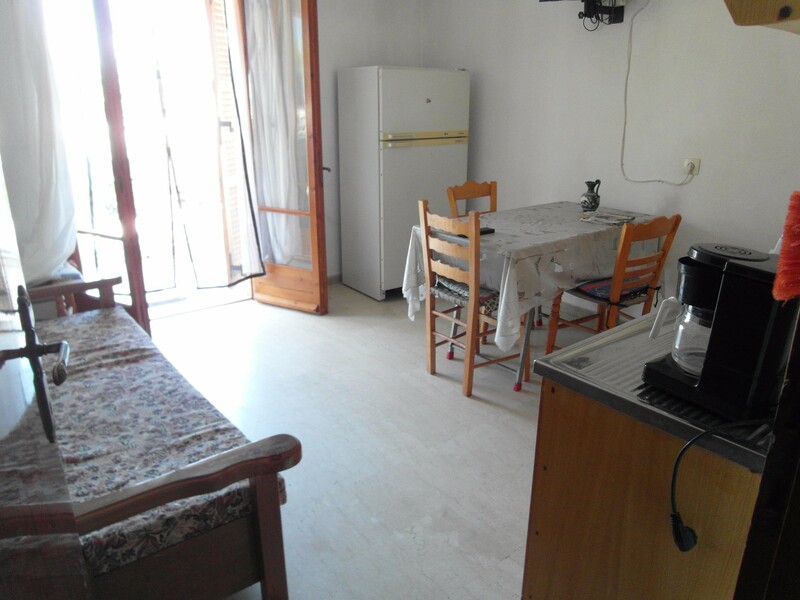 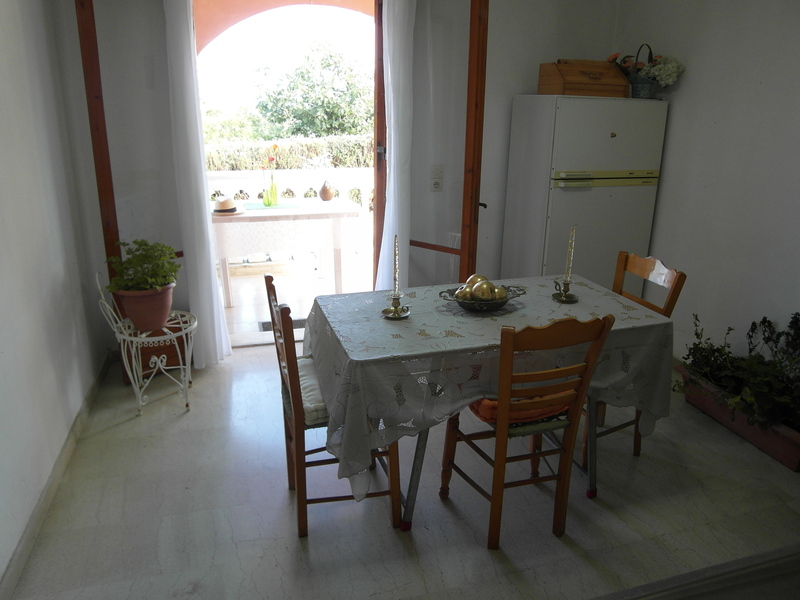 ?his family studio have air conditioning and a terrace of 25 m² ). 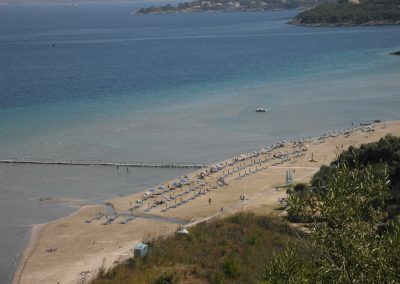 Beach ‘Kalamaki’ 3 km far. 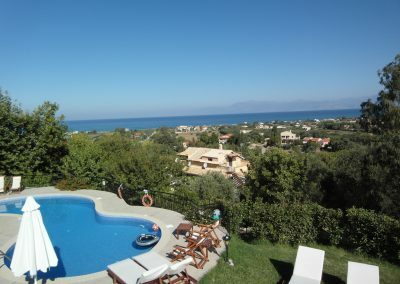 Free swimming pool 250 m far.